Corporate finance is the area of finance in which business enterprises make monetary decisions. Businesses and corporations utilize various tools and analyses with the primary goal of maximizing shareholder’s value. Financial decisions made are contingent on short-term and long-term effects. One of the primary variables of corporate finance is investing. With the goal of growing shareholder’s value, businesses are presented with a number of investment decisions. One of the most important aspects of corporate finance is capital investment decisions. Businesses make long-term decisions relating to fixed assets and capital structure. However, these decisions made are based off a number of related criteria. (1) Corporate management looks to maximize a firm’s value by investing in projects that will yield a positive net present value, while minimizing risk. (2) Financing these projects is crucial in order to assure growth in the future. (3) If these opportunities do not exist, corporations must issue out dividends to shareholders to maximize their value. Thus, making capital investment decisions requires the combination of investment, financial, and dividend decisions. In making financial and investing decisions, valuation becomes a vital factor. 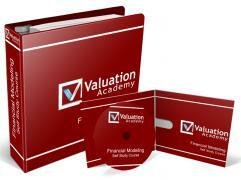 In valuating projects, businesses, and even markets, estimations are created using discounted cash flow statements. Through these DCF (discounted cash flow) statements, individuals and businesses are able to compute net present value. Once the NPV (net present value) is computed, they utilize the discount rate and can create a prediction of its future value. If businesses notice that the value of a project is not as high as its potential or NPV, then making the decision to invest is altered. Remember, businesses and corporations goal is to maximize the value of their shareholder’s wealth.